This guide will help you install SM Twitter Slider step by step. Step 1: Download and unzip extension contents on your computer and navigate inside the extracted folder. 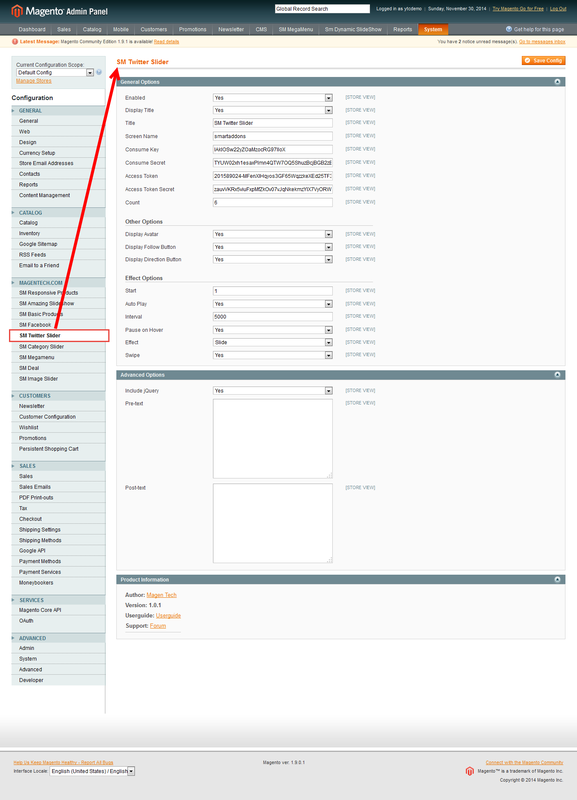 Step 5: You will see installed extension, click extension’s name tab to go to extension configuration page. 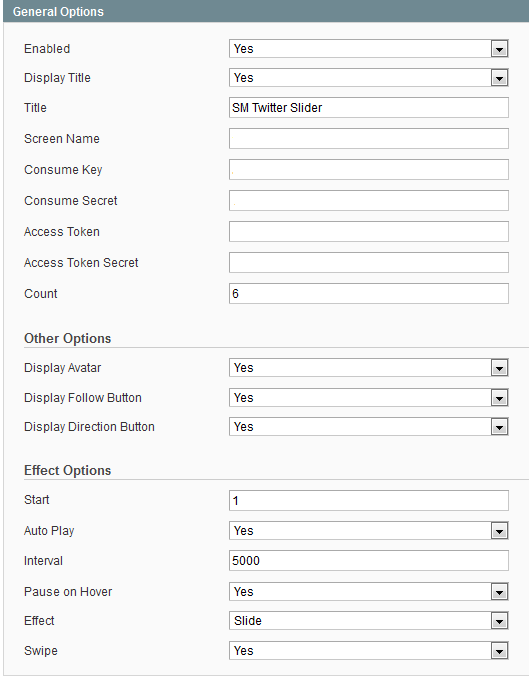 After installing, go to System -> Configuration and find SM Twitter Slider (in the left of column) to configure. 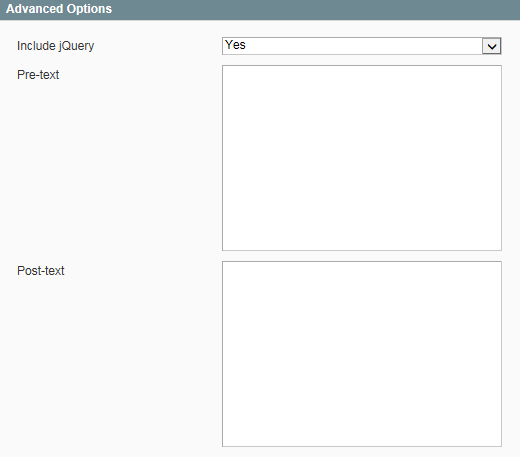 Enable – Allow to enable/disable the module. Title – You can enter title of the module on here.